Section 86 of the Thailand land code Act states that “foreigners may acquire land by virtue of the provisions of a treaty giving the right to own immovable properties and subject to the provisions of this code”. However, there is no current treaty with any foreign countries which allows for foreigners to acquire ownership of land in Thailand since the last treaty that allows for foreign ownership was terminated in 1970. Violation of section 86 is punishable with a fine not exceeding 20,000 THB or an imprisonment not exceeding 2 years, or both as prescribed by law under section 111 of the Land Code Act. Section 96 bis of the Thailand Land Code Amendment Act (1999) prescribes that foreigners can own a land not exceeding 1 rai or 1600 square meters for residential purposes through the Board of Investment or BOI. Thailand BOI requires a 40 million THB investment into Thailand under specific assets or government bonds that will help boost the Thai economy. The BOI may also grant foreigners with an investment of at least 1 million THB in Thailand for no minimum prescribed period of time to buy up to 20 rai of land for residential purposes for employees. However, prior to obtaining any such grant, strict conditions on specified areas may be imposed and additionally requires approval of the Minister of Interior. Foreigners under a Thai company with at least 51% Thai shareholders and 49% foreign holders lawfully registered as a Thai limited company or a Thai partnership, may own a land in Thailand. Foreigners holding executive and director positions are entitled to buy up to 20 rai for employees’ residential purposes. The Thailand Land Code Amendment Act of 1999 allows a foreigner married to a Thai spouse to legally own a land. 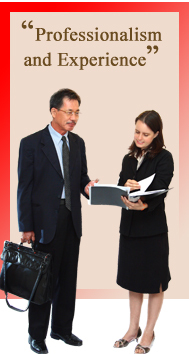 However, the law requires that the land be registered under a Thai spouse. A foreigner spouse is required to sign a declaration that the land purchase was funded by the Thai national and not the foreigner.